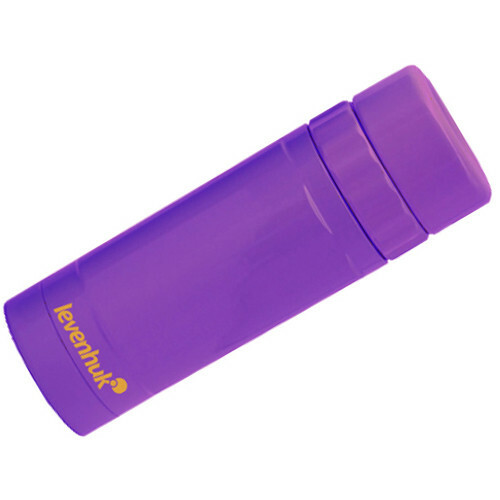 A great choice for sports fans, tourists, kids, and those who love watching wildlife, the Levenhuk 8x25 Rainbow Monocular is designed to be your constant companion wherever you go and whatever you like to do. Its moderate magnification and exceptional field of view, complemented by anti-reflection fully multi-coated BK7 optics, ensure an immersive experience with views that are bright, clear, and crisp. This model of the Rainbow features a strong and durable plastic housing in high-visibility amethyst purple to make it easy to find if it gets dropped in the grass or sand while you're enjoying a nice walk. A simple twisting collar makes it easy to bring your view into tack-sharp focus.